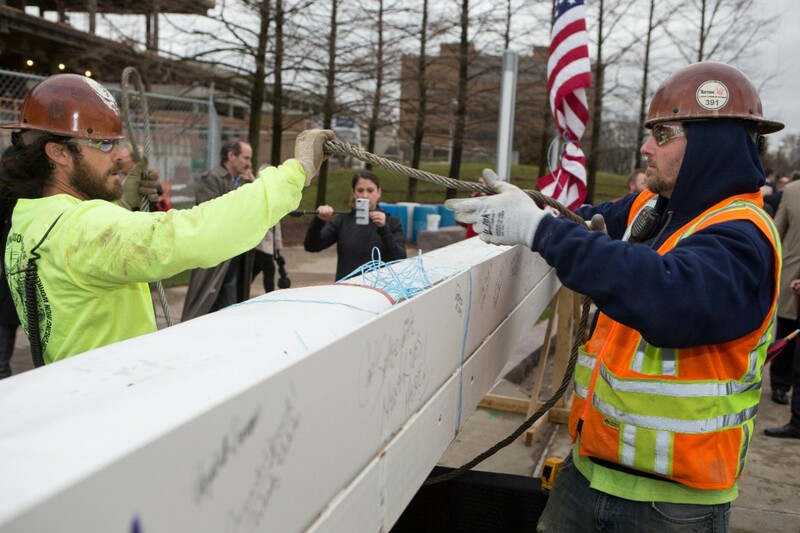 Lindner College of Business Dean David Szymanski signs the final beam before it is placed. 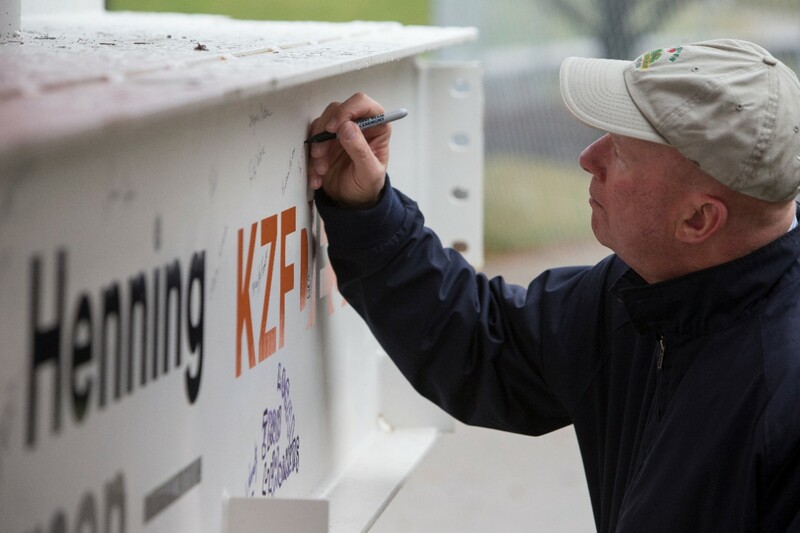 progress of construction and thank those who made it possible. 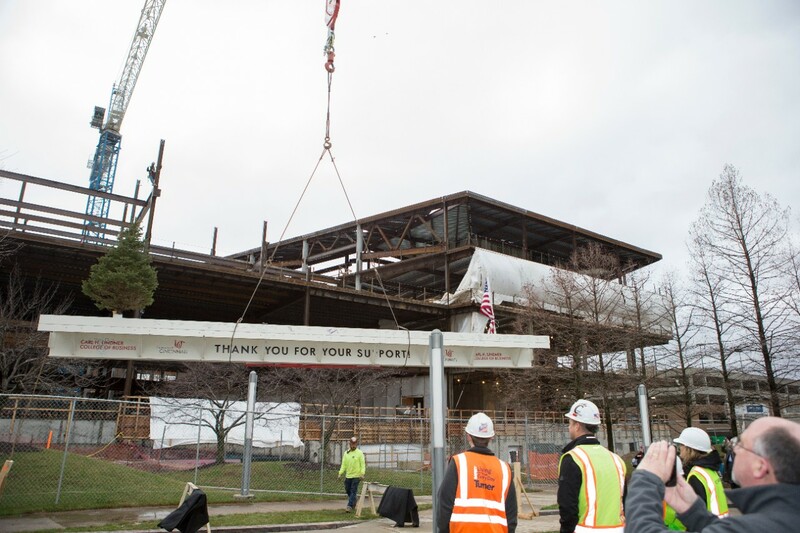 The future home of the Carl H. Lindner College of Business at the University of Cincinnati is one step closer to completion. 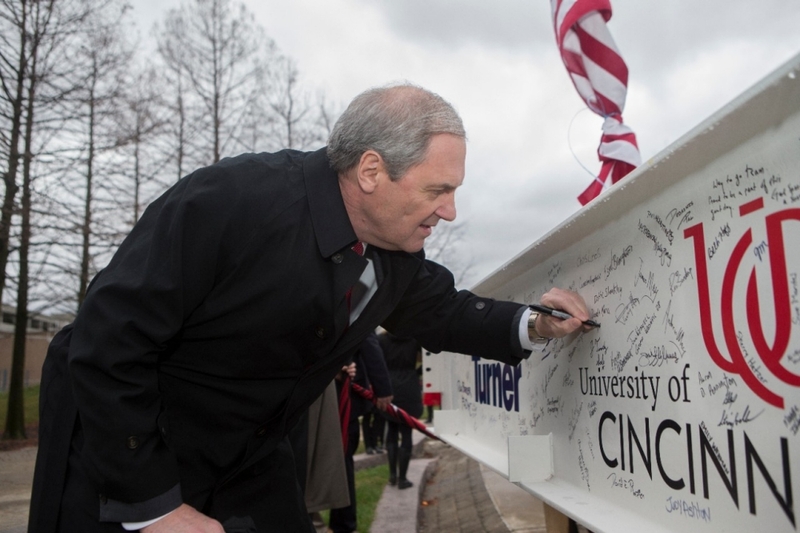 The UC community kicked off the month of March by celebrating the end of the first phase of the new, $120 million structure’s construction with a Final Beam Celebration. 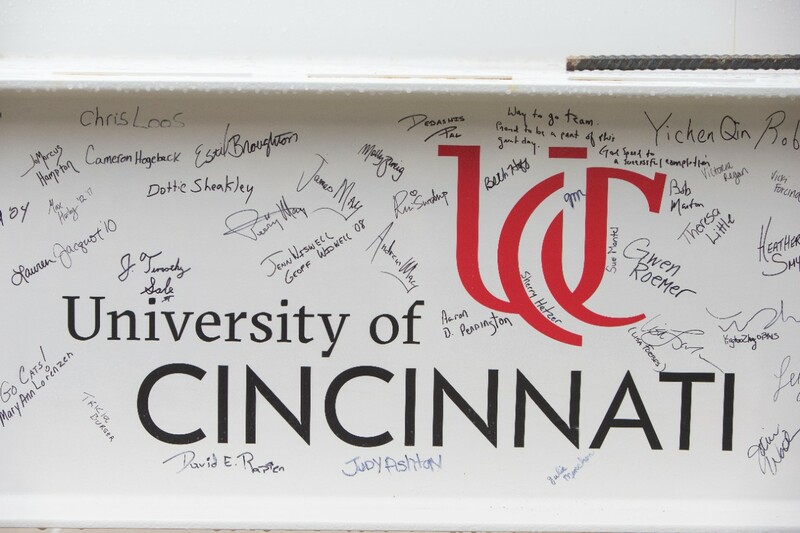 University leaders, faculty, staff, alumni, students and guests gathered to sign the beam and watch as a crane lifted it into position. 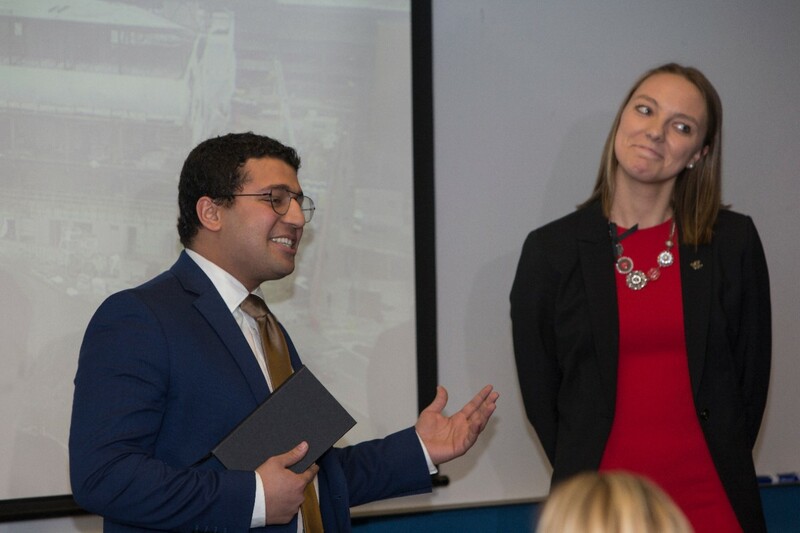 Set to open in fall 2019, the four-story, 225,000-square-foot facility will feature an expansive floor plan with more than 240 faculty office spaces, a 150-seat, two-story lecture hall, a 250-seat auditorium, research labs, exam and tutoring areas, numerous huddle and breakout rooms, plenty of open workspaces and two spacious courtyards. 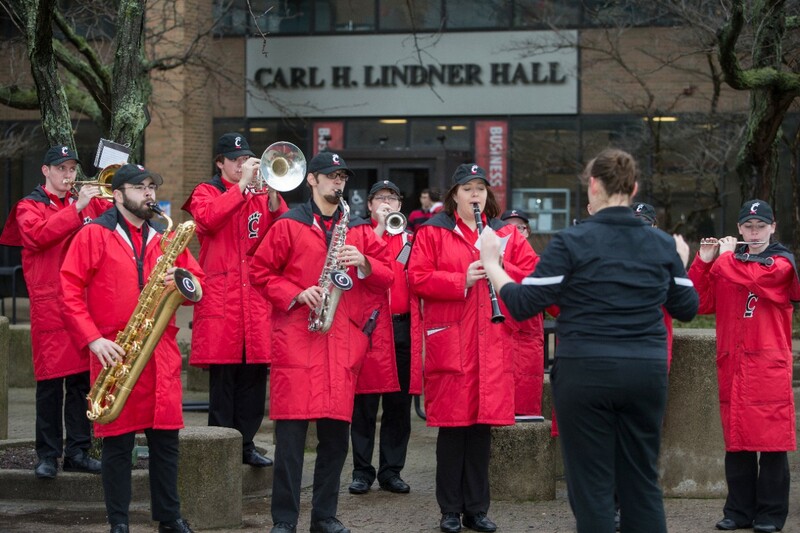 With the college’s enrollment approaching 5,000 students, the new building comes at the right time; the college’s current home, Lindner Hall, was built in 1986 to accommodate about 1,800 students. 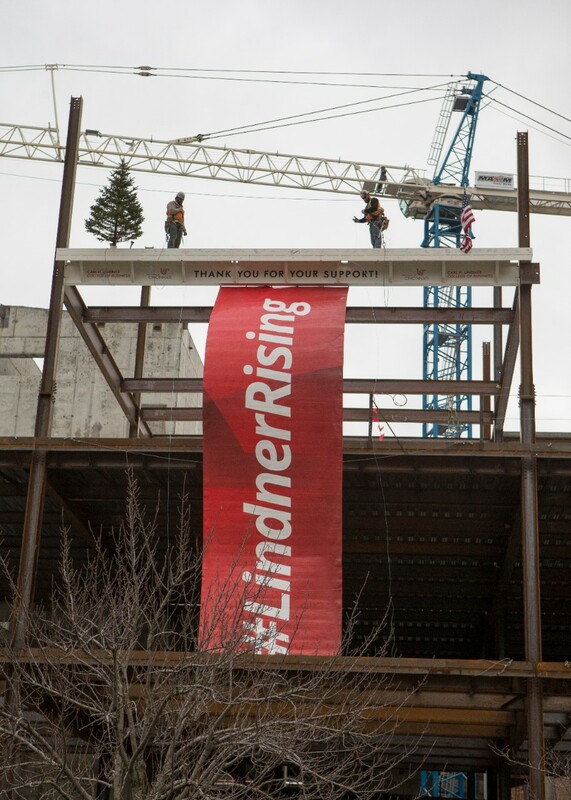 The construction of the new building was made possible through the generosity of donors, including a record-breaking $11 million donation from the Lindner Family and American Financial Group Inc.
Construction of the new building remains on schedule and on budget. 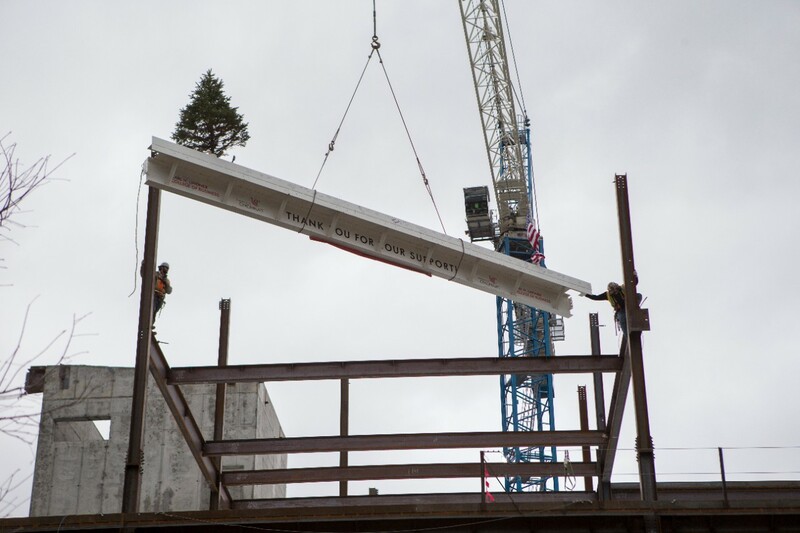 The next phase of construction will include the installation of the building’s exterior wall system and roofing. 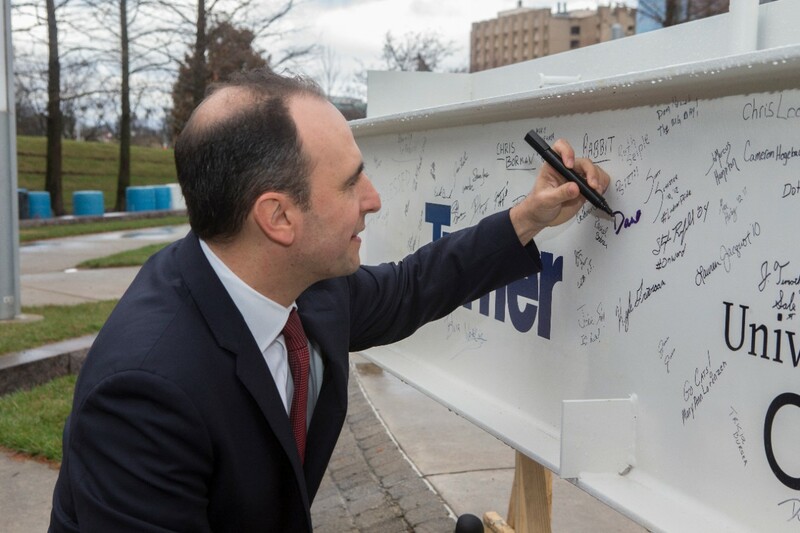 The building is expected to be completed in May of 2019, and the college will relocate from Lindner Hall during the summer. 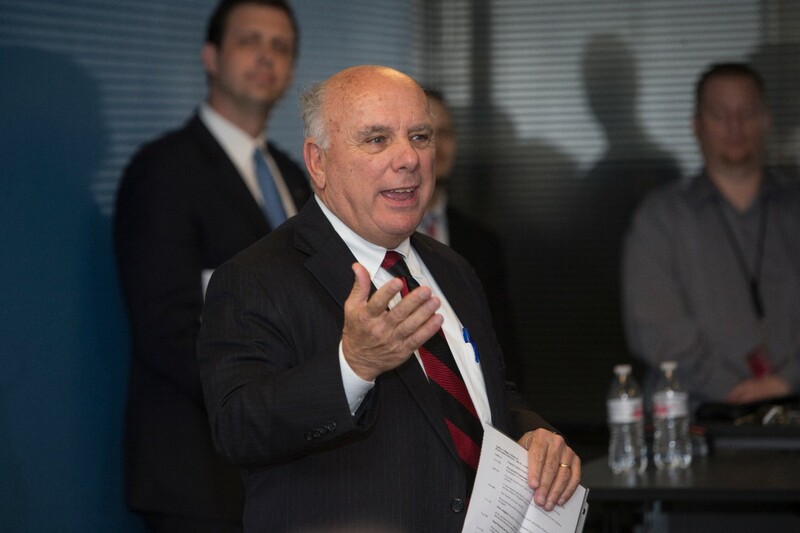 Students will first take classes in the building Fall Semester of 2019.